The full show is in two 50-minute parts with an interval, and with sub-titling in Irish and English – or the host-venue’s main language. It can also be of shorter duration where required in festivals. Convenient for all sizes of venues and occasions, it can be done acoustically or with a host’s PA, and can either use in-house projection and screens or, where resources are limited, can use its own equipment. A printed programme is provided for each performance. 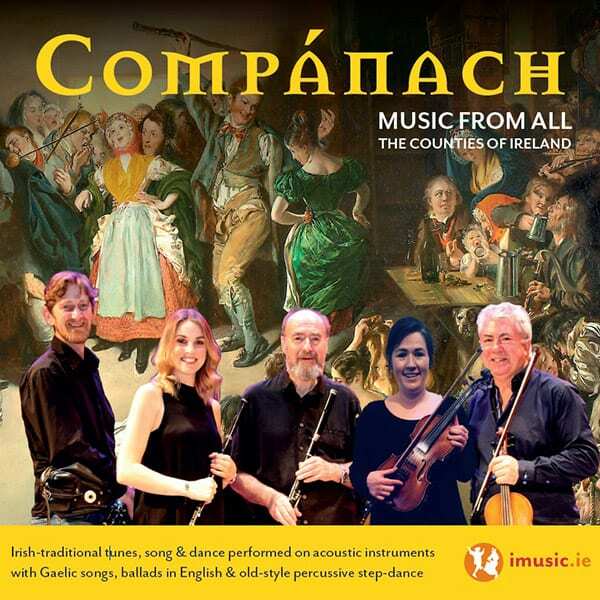 Compánach is versatile, and is as much suited to a free-standing concert night or music festival headline as it is for ‘edu-tainment’ in Irish-Studies, College or School events. But it is primarily a music performance, an alliance of the auditory, the visual, the aesthetic and the cultural, designed as a satisfying, multidimensional artistic experience. 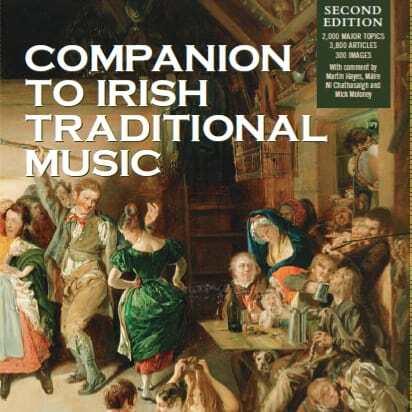 The ultimate reference for players, devotees and students of Irish Traditional Music. It is the largest single collection of such diverse, essential data, bringing together the knowledge of two hundred contributors in an A-Z format.